The mood in English grammar does not refer to the emotion of the action or anything like that. Instead, the mood of the verbs refers to whether or not something is a fact. The intention of the speaker/writer is understood by the mood of the verbs. Each of the types has a particular function. Indicative mood tells the reader/listener something factual. This mood is generally used in making a statement or asking for a statement by a question. The statement can be factual or presumed to be factual. Michel was the greatest musician. Imperative mood makes a verb into a command or request. It always uses the second person as the subject of the sentence and most of the time the subject remains hidden. Bring the bottle over here. Make me a cup of tea, please. Subjunctive mood indicates the possibility, wishes, or hypothetical statements. It is almost the opposite of the indicative mood. 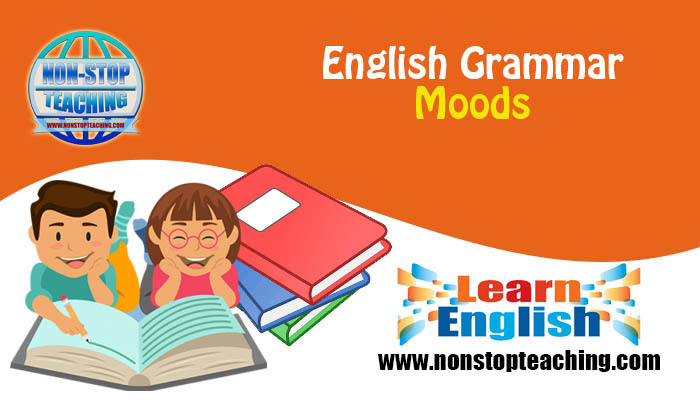 This mood usually mixes the tense of the verbs and does not follow the common usage of the tense. Subjunctive has some different structures from the other structures of sentences. Conditionals generally use the subjunctive mood. If you change this dress, I will take you with me. If I were in your shoes, I would not do it. If they were in America, they could not escape from it. If they had taken the vaccine, they would not have been affected. Some certain verbs + the conjunction that requires the next clause to use the subjunctive mood and the clause uses the base form of the verb in it.